This was the final stage of a whole house remodel project. 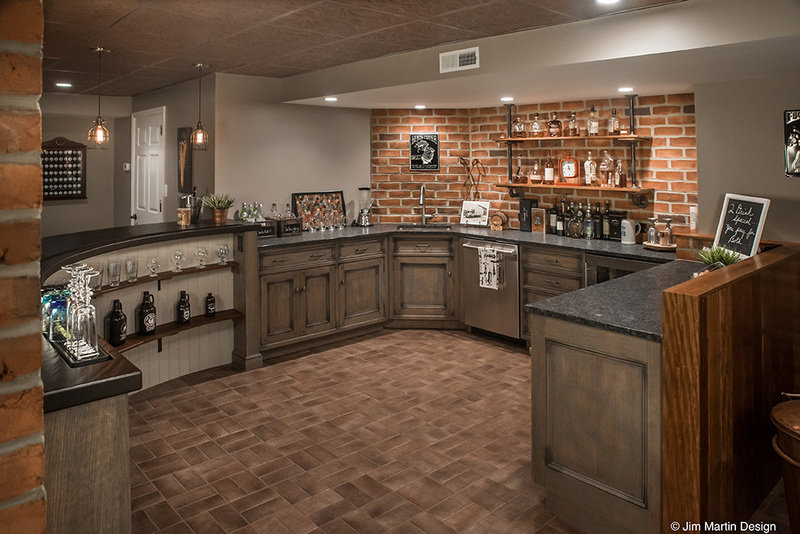 We removed existing walls that sub-divided the basement, reworked the entire HVAC system to minimize ductwork chases, re-routed electrical circuits and opened the space for a large entertainment area. We took an adjacent basement garage bay and turned it into an exercise/yoga/mediation sanctuary. 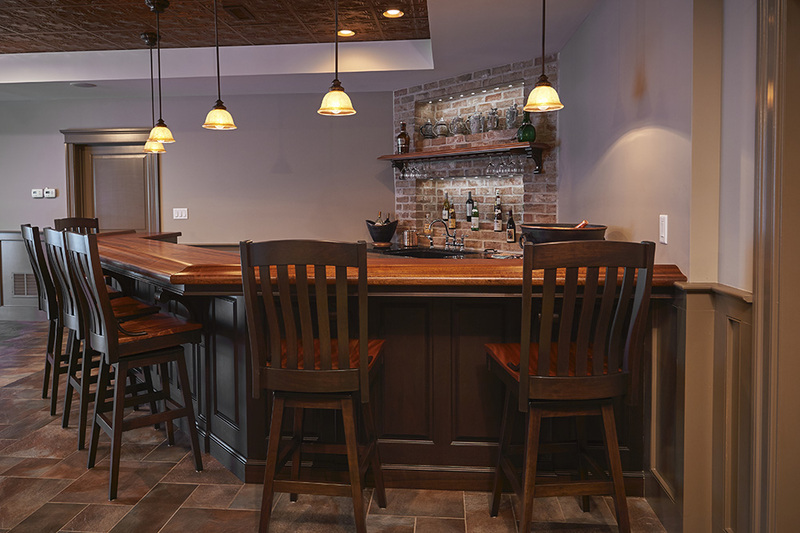 Basement bar area designed to reflect the atmosphere of an old English pub.